Women heed the ANC's call to honour Winnie Madikizela-Mandela by dressing in in all black and donning doeks. Credit: Supplied. 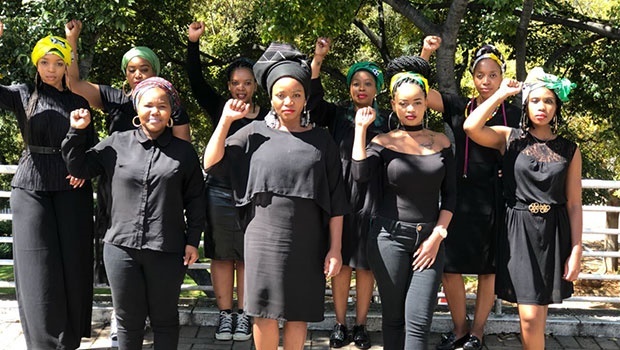 Women across South Africa have stepped out in all black wearing colourful doeks and berets to commemorate the death of the anti-apartheid struggle heroine. It became a national call and it was answered. The African National Congress (ANC) asked for South African women to honour Mam'Winnie this way, and taking to their Twitter account, they also added that she didn't die, but multiplied. Hundreds of images of women in support of Mam' Winnie have populated social media, with many women posing with their arms up with a clenched fist, writing “Amandla!”. "I have a good relationship with Mandela. 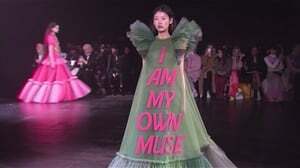 But I am not Mandela's product. I am the product of the masses of my country and the product of my enemy." Turns out men and adorable kids also decided to honour the woman who had an unwavering fighting spirit and bravery. @MicasaLuu also posted another powerful quote by the mother of the nation. @ReneilweLD left an important message on her post, too. Daughters of the nation ?? READ MORE: "An aunt to me... this is what I will always remember about Mama Winnie Madikizela-Mandela"
Part of the ANC's 10-day programme to honour Madikizela-Mandela includes an event at Newtown's Music Factory (formerly Bassline) this evening. Madikizela-Mandela died at a Johannesburg hospital on Monday at the age of 81. A woman who fought and embraced the liberation struggle, she remained defiant against all odds and became a "fearless revolutionary".